The Talking Box: Fun Friday with the Kevin Bacon Game! Fun Friday with the Kevin Bacon Game! 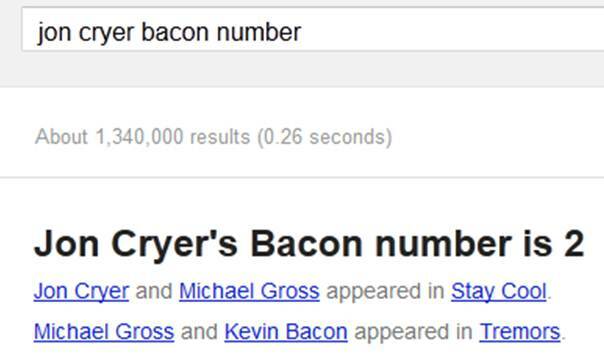 I don't remember the first time I heard about "The Six Degrees of Kevin Bacon." 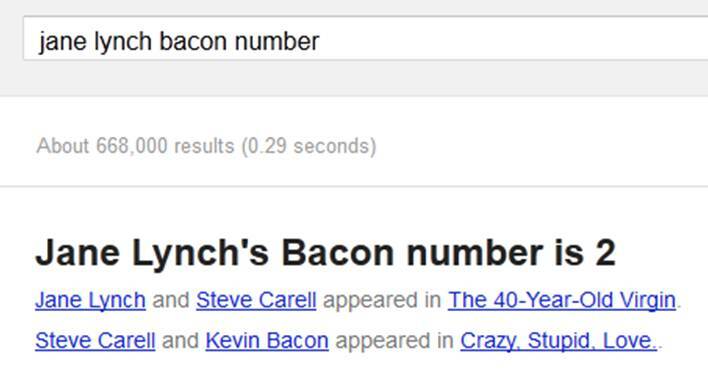 I don't even remember which of Kevin Bacon's movies I saw first! 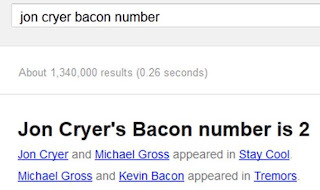 But, yesterday I found out something cool you can do with Google and I wanted to share. First, a little explanation for the unaware... Kevin Bacon (who is starring in The Following starting mid-season, by the way) has been in tons of movies with a wide variety of stars. 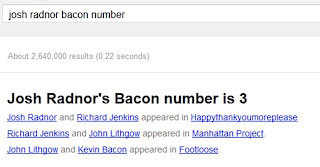 Years ago, a party game developed where someone would name an actor and people would try and "link" that person to Kevin Bacon by figuring out movies that Kevin Bacon had been in with someone else who had been in something with a third person who had been in something with the named person. 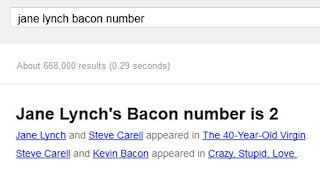 You wanted to not only link the actor to Mr. Bacon but also try to be the one with the shortest number of links needed to do so. I'm pretty bad at the game, but it's also gotten much easier over time. 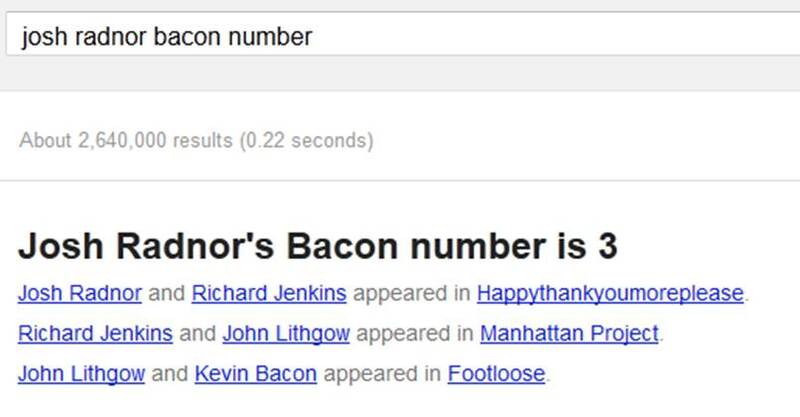 I seriously tried like fifty people and I never came up with a Bacon Number higher than three, and only one occasion of that! So, please, if you find one that's three or higher, do share!